In getting used to living without dairy in my diet, I have found some easy loopholes for my own personal use of casein. Most everyone lacks the enzyme in their body to digest cows milk protein, or casein, but many people simply don’t recognize any discomfort, or equate it with consumption of milk products. I do not have an allergy to dairy as many people quickly assume; when I eat dairy products I just get a very bad stomach ache as I’ve now been able to recognize that I can’t digest the protein in cows milk. A dairy allergy is when the body can go into shock upon consumption of dairy, or an anaphylactic reaction. My friend Angela has this. For me, it isn’t that dangerous, it’s just uncomfortable. But as I learn to manage this in my daily eats, I have found some interesting outcomes. I cannot consume any milk product made from mass-produced, factory raised cows. Period. A slice or two of supermarket cheese and I am in agony. A blob of sour cream has the same outcome and lets not even talk about cream or milk. Pizza has sadly disappeared from my menu, although sometimes I am willing to suffer for a slice or two, popping a Lactaid to help. But….and here’s the interesting part….. I can consume high quality cheeses, artisan style products that are made from small batches of humanely raised cows, grass fed cows, or pastured animals. These products do not affect me. Top quality yogurts that are chock full of beneficial flora also do not bother me. 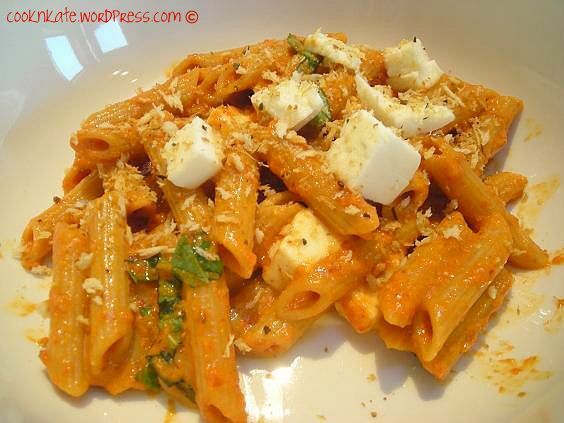 For these reasons, you will still see some dishes on the blog that contain cheese. I can still eat cheese, it’s just pricier for me to do so and that doesn’t bother me. But…..back to cream-less pasta sauce. One aspect of eating dairy free, obviously, is avoiding milk at all costs and thankfully it’s really easy these days as most outside sources such as restaurants, coffee shops and the like will offer a dairy-free alternative, but when I look at a restaurant menu and see pasta after pasta dish with cream sauces and the lone dairy free alternative is red sauce, that ain’t making me want to skip for joy. So I was thrilled upon opening a menu at one of my favorite little bistros to find a cream-less alfredo sauce on the menu. My friend Joanna and I pounced on it as we were splitting an entree that night along with our half-price bottle of wine. I do love a good alfredo, but with the heavy cream and butter, the calories and fat are astounding and now that most milk makes my insides implode, alfredo is definitely off the list. This ‘alfredo’ dish, however, was made with pureed cauliflower, and although it did have cheese in it, it was an artisan style cheese that my stomach can tolerate. And it was divine. With my first mouthful I swore to recreate this at home. My first attempt, surprisingly, was pretty good. Nothing like the wan light of winter to make a food look so unappetizing! But then again, how do you photograph pasta to make it look good at all? If you’ve ever used cauliflower as a sub for mashed potatoes then you can grasp the concept of this ‘sauce’ made from pureed cauliflower. Cooked until very tender, the cauliflower is placed in a food processor with some of the cooking liquid and processed until smooth. 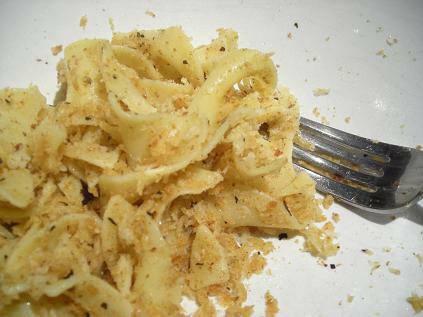 Cheese, salt and pepper is stirred into it, then it is mixed with cooked pasta. I also added in broiled roma tomato for some color and extra nutrition. The first attempt was pretty good, but more cheese would have added to the flavor and I had thought my fridge held more than it did. It also needed a little more seasoning with the salt and pepper but overall was a really good first try. I think that a handful of chopped kalamata olives would have really sealed the deal. Be sure to cook the cauliflower until it’s pretty tender as it helps to make a very smooth ‘sauce’ once processed. Steam cauliflower until very tender, reserve cooking liquid. Spoon cooked cauliflower into food processor and add about a half cup of liquid. Process until smooth, scraping sides as needed. Pour back into saucepan and add cheese, stirring to melt. Season with salt and pepper and adjust to taste, adding more cheese or S&P if needed. 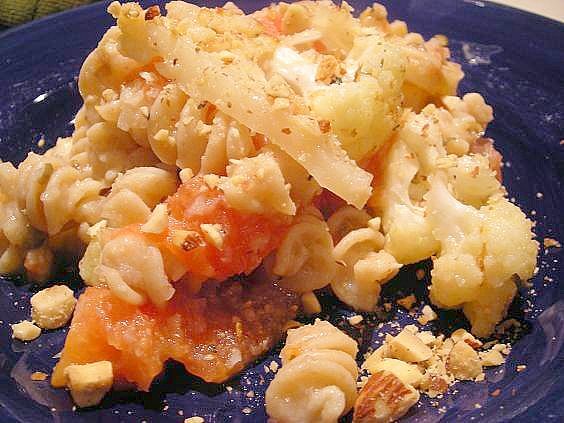 Asiago, or romano cheese can also be used to add more flavor to the sauce. Bring a large pot of salted water to a boil. Add the gemelli and cook until al dente. Drain the gemelli. Meanwhile, in a blender, puree the roasted red peppers with the olive oil, sun-dried tomatoes, tomato paste, garlic and 3 basil leaves until smooth. Season the sauce with salt and pepper. Scrape the sauce into a large bowl and toss with the pasta until well coated. Tear the remaining 6 basil leaves into the pasta and add the mozzarella. Toss the mozzarella, basil and pasta and serve warm or at room temperature. In a small skillet, melt two tablespoons of butter. Add in about a cup of Panko crumbs and stir to combine. I also add garlic and onion powder, basil, oregano, some rosemary, sea salt and pepper. Stir continually over medium-low heat until browned and fragrant. Remove and immediately scrape onto plate to cool. Don’t cool in pan or they will burn; trust me! I roasted my own peppers for this dish. I also lightly browned the garlic in oil on the stove before adding it as I don’t care for the taste (or aftertaste) of raw garlic. This needed a lot of seasoning; don’t be shy with the S&P. I think some of the fresh mozzarella could be added to the sauce before blending, as the whole chunk seemed to be excessive and we didn’t even come close to adding it all in. Stir some in the hot pasta and top it with more; I love the different textures. Add lots of basil to the finished product. I didn’t have quite enough and it seemed to need more. Melt butter in small saute pan. Add crumbs and toss to coat. Add in remaining seasonings and cook over medium-low heat, stirring continually until crumbs are browned and fragrant. Remove from heat and spread on a plate to cool. Add in parmesan/asiago type of cheese if desired. Sprinkle over drained pasta, and toss to coat. Notes: The seasonings are totally up to you to add; sub in your favorite ones to make this all your own palate pleaser. Don’t leave the crumbs in the pan to cool; they will continue to cook and will end up burnt and unpleasant. Trust me, I know this to be true. In large skillet, heat oil of choice and add broccoli, stir fry quickly until bright green. Add about 1/3 c. water to pan and cover. 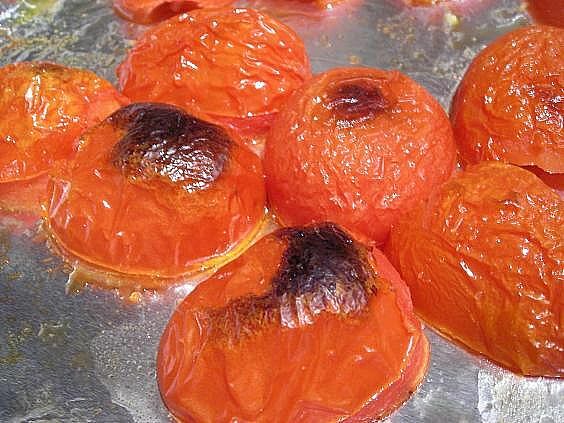 Allow to steam for five minutes. Remove broccoli to bowl and cover. In same pan, add sausage and brown for 5-10 minutes. Remove. Add a splash of oil to pan and place chopped regular tomatoes in pan. Cook until they have broken down, maybe 3-5 minutes. Pour in wine, add garlic and 1 tablespoon of zest and bring to a simmer; cook until reduced by half. 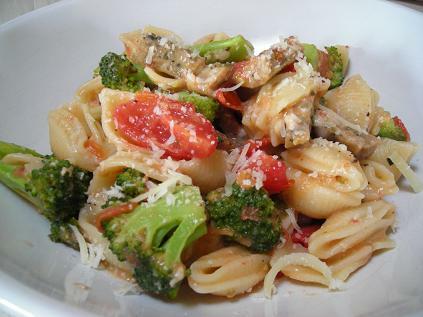 Have pasta, sausage and broccoli ready in large pan or bowl. Add quartered grape tomatoes to skillet and about a half cup of reserved cooking water; stir quickly to incorporate then pour over pasta mixture. Toss gently. Stir in a tablespoon or two of lemon juice and a little more zest (to taste). Season with salt and pepper.